The Palace Museum in Beijing has revealed an exhibit of rare photos showing The Forbidden City and the people who lived there a hundred years ago. These photos have not been seen since 1949 and are pictures from the late Qing dynasty. The exhibit has four categories outlined in this article; military, politics, economy and common people’s customs and practices. Included in the cache are photos of the last Emperor Puyi and Empress Wanrong, as well as a photo of the Empress Dowager Cixi in her 40s, which was sent by American diplomats. As it was seen as much safer than the outside world, The Forbidden City was the perfect place to store photos and other items that could easily perish elsewhere. 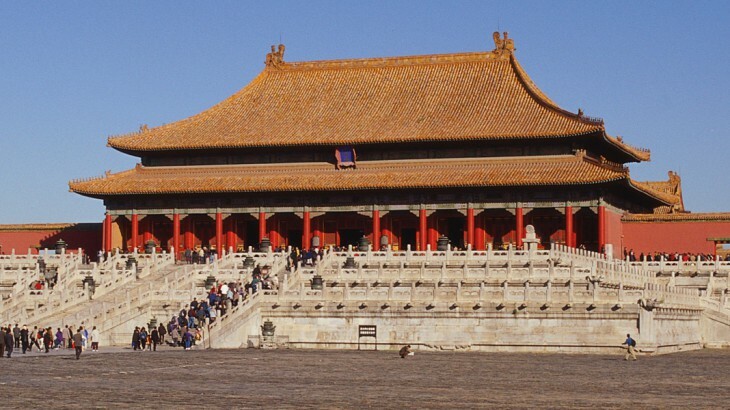 The Forbidden City was home to 24 emperors of the Ming (1368–1644) and Qing (1644–1912) dynasties and, situated in the very heart of the capital, is a ‘must-see’ stop on a tour of Beijing. In ancient times, it was believed that the Celestial Emperor resided in the Purple Palace in Heaven and that the Heaven’s supreme power was bestowed upon the Emperor on Earth. The design for the Palace was based upon that of the Purple Palace to reflect this. Members of the public were not allowed to enter the palace and its grounds, earning it its name. The palace is now a UNESCO World Heritage Site and the best preserved imperial palace in China. It joins The Palace of Versailles, Buckingham Palace, The White House and The Kremlin to make up the five most important palaces in the world. The exhibit is included in the main ticket price for the Palace Museum, which is now the official name for The Forbidden City, making it a fantastic time to holiday in China to see this priceless collection. China china news, culture. permalink.